Looks Like Someone Is Not Happy Up On Sunset Ridge #Sackville | Sack-Vegas!!!! Looks like some type of dispute is brewing here. I have had two people send this pic in today. What’s the issue here? Anyone? O.K. This contractor is not happy with the whole “finish the next house and I’ll pay you for the last one” concept. I’ll see what else I can find out. Posted by Sacky on October 12, 2014 in Uncategorized. 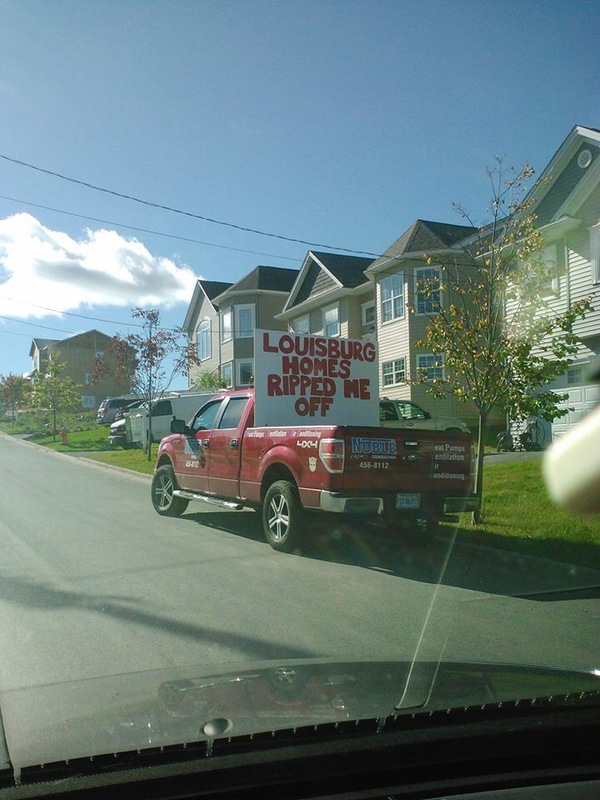 He’s not the only one that is upset with Louisburg. Friends don’t let friends buy Louisburg homes.